Invisible braces are ideal for adults and children who would like to straighten their teeth, without anyone knowing they are wearing a brace. 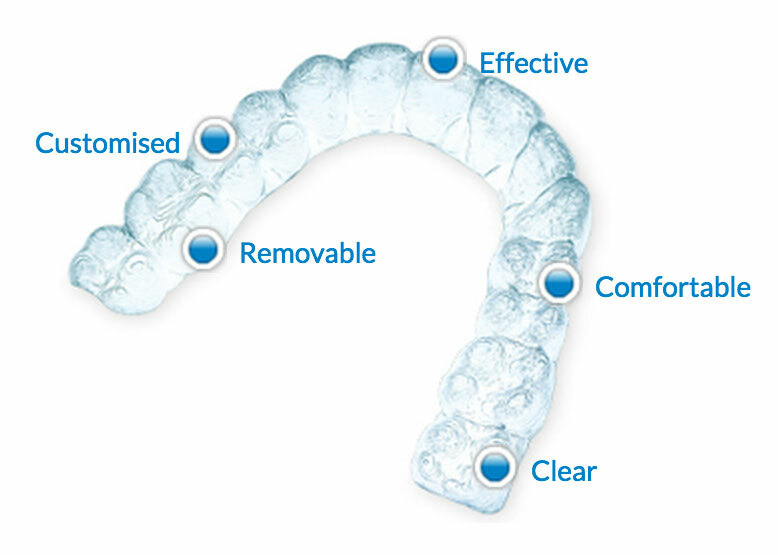 We use Invisalign® braces, which are highly regarded in the industry and can be easily removed for cleaning or eating. Invisalign takes a modern approach to straightening teeth, using a custom made series of clear aligners which move your teeth gradually to the desired position. These aligner trays are made of smooth, comfortable and virtually invisible plastic that you simply wear over your teeth. There are no metal brackets to attach and no wires to tighten. You wear a new set of aligners approximately every two weeks, until your treatment is complete. You achieve the confident smile that you have always wanted. The best part is that most people won’t even know you are straightening your teeth. Ask us for more information about this new service.